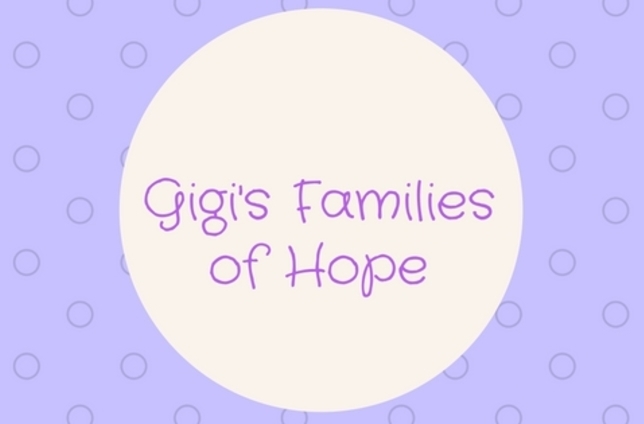 Gigi's Families of Hope - Free Way to Support Us! Nothing could have ever prepared us for the words, "Your child has a brain tumor." In an instant our world came to a complete halt...and for a short time seemed somewhat hopeless. It was through the thoughtfulness, kindness, and generosity of family, friends, acquaintances and even strangers that we began to find hope and light again during some of our darkest days. Even in the smallest of gestures we found healing. Gigi's Families of Hope is the result of that healing. It is our family's way of honoring our daughter Gianna's successful and hard fought fight while furthering acts of kindness like those that were shared with us in our time of need. As a Cohen Children's Champion, Gigi's Families of Hope seeks to raise funds for families under the care of The Division of Pediatric Hematology Oncology at Cohen Children's Medical Center (CCMC) who are in need of financial assistance. One of the greatest concerns currently faced by some CCMC families without cars is the reliability and affordability of transportation to and from the hospital. Children undergoing chemotherapy and/or radiation are immunocompromised and for those without a car, public transportation is not an option. Donations made to Gigi's Families of Hope at this time will be used to help families identified by CCMC Social Workers in need of transportation assistance by car service to and from the hospital for treatment, follow-up appointments, etc. It is our hope that this effort will ease the worry and burden of a mother or a father so they can be fully present to focus on the needs of their child getting well. We'll donate to Gigi's Families of Hope when you shop online! Once you’ve made a purchase with one of our participating stores, we make a donation in your honor to Gigi's Families of Hope. Over $13 million has been raised so far!